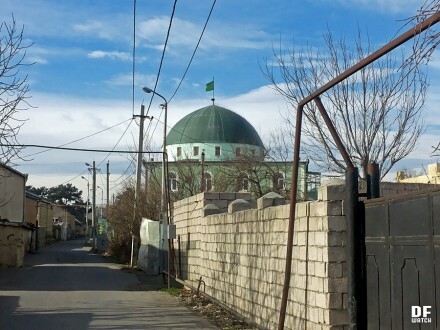 Soghanlughi, DFWatch – Global Shia–Sunni conflict found its way into a small Azerbaijani community on the outskirts of Tbilisi.What started as a local tension in the predominantly Muslim settlement of Soghanlughi (Soğanlıq in Azerbaijani), which is a part of Ponichala district in the southeast of Tbilisi, escalated into a conflict informed by events in the Middle East, proving increasingly divisive for the community. Traditionally, Azerbaijanis living in Georgia are identified as Shia Muslims, which is also the case of Soghanlughi. In recent years, the number of Azerbaijanis who identify themselves as Sunni Muslims has been on a slow but steady rise. The conflict became evident in the beginning of January when a murder story made it into national news in Georgia, widely reported by major TV channels. DF Watch reported earlier that there are two sides to the story. According to the story that was widely circulated in media, 23-years-old inhabitant of the village named Pikrat Ahmadov (Fikrət Əhmədov) was stabbed to death by his friend Ramin Isaev (İsayev). The murder was allegedly a consequence of a religion-based dispute. Ahmadov belonged to Soghanlughi’s Shia community, which makes up for the majority of village’s population, while Isaev, on the other hand, was identified as a Sunni Muslim — a community which only started to gain ground in the village less than 20 years ago. 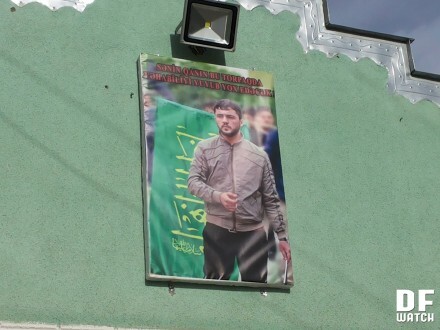 Ahmadov’s picture hangs in the courtyard of local Shia mosque with a caption ‘Your blood will annihilate Wahhabism and wash it off this land’. Victim’s mother Zarangul Ahmadova (Zərəngül Əhmədova) told DF Watch that the reason for the murder was her son’s appearance on central TV channel Imedi, where he said that ‘Wahhabi’ Muslims regularly gather in a basement of one of the village’s houses. ‘They came in the morning and asked for my son. They told him “You’re a bozi (‘snitch’) for having given this interview”. Later they called him and asked for a meeting. It was around noon where they visited him in the shop [where he worked] and killed him. The shop had monitoring. Police showed me the recording. There is no sound, but I saw how two men came, told him something, and stabbed him twice with knife. Isaev was my son’s friend, he used to come here every day. They used to go to mosque together. They stopped being friends last summer. He wouldn’t come neither to our house nor to our mosque anymore’, Ms Ahmadova said. Representatives of local Sunni community told a different version of events in a conversation with DF Watch. ‘The murder was an unrelated event. It was something that happened between these two men. If one Muslim commits a crime, a sin, or a mistake, it doesn’t mean it applies to all of Islam.Pikrat and Ramin used to be friends because they were criminals. They considered themselves kai bichebi (‘goodfellas’, members of a Georgian criminal subculture) and they were connected by criminal matters. Ramin wasn’t even religious. He smoked and didn’t attend the mosque all that often. An official investigation is under way and it’s supposed to clarify the circumstances of the tragedy. Whatever really happened between the two men escalated into a wider community conflict informed by religious divisions, with each of the sides with their own story to tell. 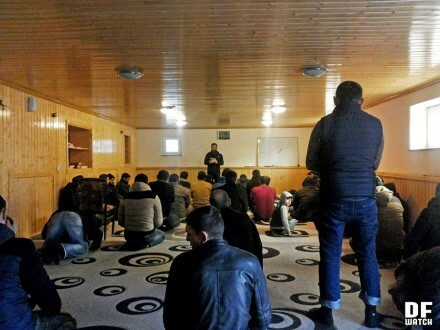 When I first approached the men inside the village’s Shia mosque, not a single person would talk to me. ‘You need to speak with our imam directly’, they explained. Convincing imam Rahid Karimov (Kərimov) to give me an interview wasn’t so straightforward either. I had to wait for him to return from Iran. After I finally managed to call him, he needed to check with the Spiritual Board of Muslims — a central authority bringing together Georgia’s Muslims — if he could talk to a journalist. ‘I told everyone not to speak to journalists. The media coverage only fuelled this unnecessary conflict. Many journalists who came here were incompetent. It happened that they twisted my words’, Mr Karimov says. He hardly speaks any Georgian. We communicate in Russian, although occasionally he needs to ask his interpreter for help with translating a thought from Azerbaijani. 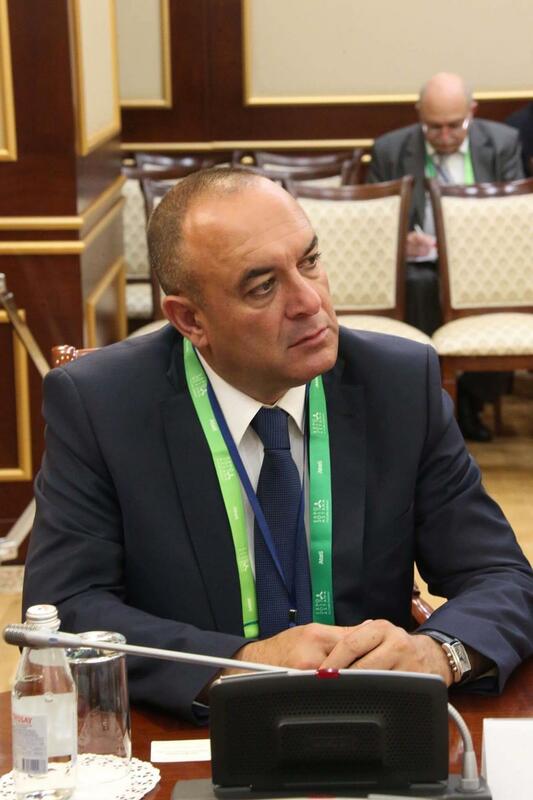 Regarding the murder, Mr Karimov tells the exact same story that DF Watch heard from the victim’s mother. When I ask for the Shia community’s relations with Sunnis, he becomes animated. ‘There are no Sunnis in our village. They are Salafis. Sunnis wouldn’t kill people. Salafis kill adults, children, blow themselves up. They call themselves Sunnis, but even Sunnis don’t recognise them as such’, Mr Karimov says. ‘The beginning of Salafism can be traced back to the 17th century, when it started as a political anti-Islamic movement. Because of them, what we have now is the most barbaric century in all of history. They cut people’s heads off, record it, and upload online. They are a disgrace to Muslims. We only have Shias in our village and we don’t have a conflict with Sunnis, because they don’t live here’, he continues. Through the whole conversation, imam never uses the word ‘Wahhabis’. It’s the word written on the banner outside of the Shia mosque and pretty much everywhere in the North and South Caucasus it is routinely considered synonymous with ‘Salafis’ and ‘terrorists’. ‘Salafis consider us kuffar (‘infidels’) and mushrikun (‘idolaters’). We don’t have problems with any religious denominations. We don’t have any conflict with Christians. We wouldn’t have a problem with them, if they really were Sunnis and followed the sharia (‘Islamic law’). Many things which are halal (‘permissible’), they consider haram (‘forbidden’). According to the sharia, it’s not right to kill people, unless it’s a war or self-defence. They kill like animals, while we mustn’t kill. We don’t consider them terrorists, because there was only one murder case with one person responsible for it. Still, their ideology is same as that of the Islamic State’, Mr Karimovargues. ‘They appeared in our village some six years ago. First it was three or four people. I don’t know where they took their ideas from. One of them lives in Medina, Saudi Arabia. He called me once to tell that my faith wasn’t true’, he recalls. When I ask if there was ever a conflict over places of worship, he sketches a brief history of the dispute. The mosque where we’re having our meeting was erected in 2008 and is considered a Shia mosque. A Sunni, or Salafi, mosque stands half-finished in another part of the village. 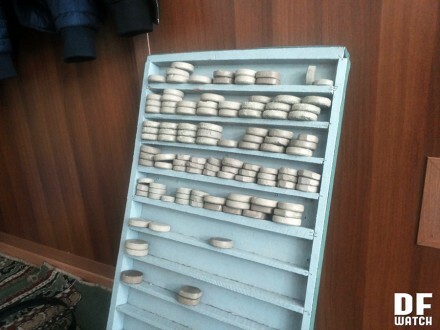 Turba (in Arabic) or möhür (in Azerbaijani) is a small piece of clay or a stone, which most Shias prostrate on during prayer as a substitute for pure earth. ‘Then they accused us again of not conducting our prayers correctly. I told them to do their prayers in their own houses for a couple of years in order to mitigate a conflict. It didn’t work. They kept on criticising us. Then, they started to use one house for prayer. There are some ten thousand people in our village and more than nine thousand are against them having their own mosque, because they keep on causing trouble. They are a group of 50–60 people and maybe some 25 people support the idea of them having a [separate] mosque. When they tell people that they don’t pray correctly… That for some 200 years of the village’s history people did things the wrong way, it obviously causes a reaction. ‘In Mecca, all of us, Muslims, pray together. They were also welcome to pray with us, inside one mosque, as a mixed group, even if their rite was different. But they wanted to pray separately. They wanted to create their own jamaa (‘congregation’) and stand separately with a different imam in the same building right next to us’, Mr Karimov says. Following the murder, which allegedly had a religious background, inhabitants of Soghanlughi took to the streets. Imam admits, though, that there was a political context to the protest. ‘On the day of Pikrat’s funeral, Shia imam [Sheikh Nimr al-Nimr] was executed in Saudi Arabia. On the seventh day, we organised a protest. We held banners with slogans against Saudi Arabia and Wahhabism, because we wanted to show that there was an analogy between the murder and the ideology’, Mr Karimov explains. When I ask about social relations between the two groups, I get an impression that they are heading towards a point of no repair. Although local Shia Muslims commonly refer to them as ‘Wahhabis’, representatives of the community explain that they find this term derogatory. ‘We consider ourselves Sunni Muslims, which means that we follow the Quran and the Sunna — prophet Muhammad’s way of life. We are members of the Salafi movement, while Wahhabism is a name for some sect, which we have nothing to do with. This term is synonymous with “terrorism” and is a part of a defamatory propaganda, which is targeted against our community’, a young man named Khanlar (Xanlar) tells me. ‘I don’t really consider myself a Salafi or, obviously, a terrorist. I’m a Muslim — just like it says in the Quran. There are no divisions. We are all Muslims’, he adds. Salafism is a conservative reform movement within Sunni Islam characterised by strict adherence to the doctrine. It began to gain hold in the Caucasus after the fall of the Soviet Union. It is often juxtaposed with ‘traditional Islam’, which refers more to a cultural identity rather than a strictly religious one. 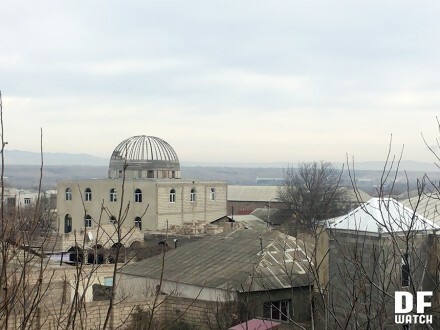 Soghanlughi’s Sunni mosque is only half-finished, so believers gather in its damp basement for their daily prayers called sala (in Arabic) or namaz (in Azerbaijani). They estimate their community at 50–60 families. ‘Our village used to have no mosques. When the Shia community began to build one, we were genuinely happy for them’, a group of men who gathered for juma (‘Friday’s prayer’) explain anonymously. ‘We offered them all kind of support, including financial one. After the mosque was finished in 2008, they wouldn’t let us inside. A mosque should be open for everyone, shouldn’t it? Anyone can enter, listen, and talk to people. Maybe someone becomes interested and chooses to become a Muslim? We, however, were forbidden from entering their mosque. One man interrupts and starts to explain that the community has received nothing short of support from the Georgian state. 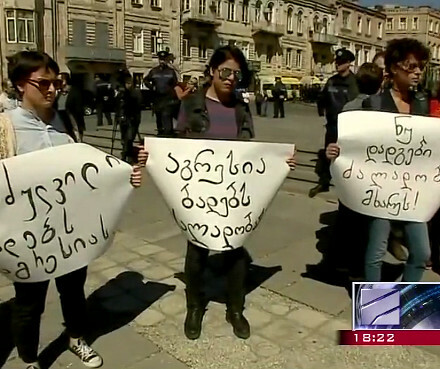 ‘Please write that we are very thankful to the Georgian people and the Georgian government for everything they did for us. They always did everything they could to support us. We appreciate it and we’re eternally thankful for it’, he says repeatedly. After he leaves, another man explains: ‘He says it because he’s afraid of repressions. He says that if you write there are problems here, someone will come and plant weapons in order to make us look like terrorists’. In May, 2013 a group of Shia activists organised a protest against the construction of the Sunni mosque. Protesters held slogans saying ‘There’s no place for Wahhabis in Ponichala — Soghanlughi’, ‘Wahhabis are a radical grouping. 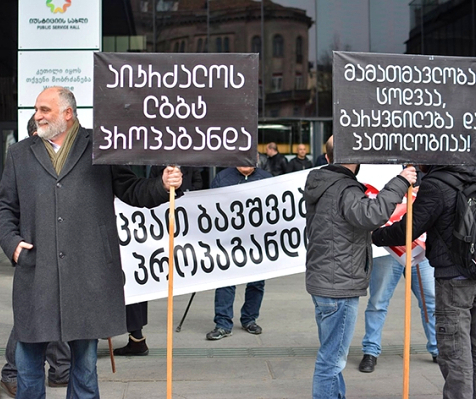 There no place for such groups in Georgia’, or ‘Tbilisi City Hall should immediately put halt to the construction of the hotbed of radicalism under the guise of a mosque’. ‘When they built their mosque, we wanted to offer a financial gift as a sign of good will. They wouldn’t accept it. Tbilisi City Hall put halt on the construction of our mosque saying that we should pray in their mosque. They wouldn’t let us in’, local Sunni men continue their story. ‘People didn’t use to be religious in our village. Most of them didn’t pray. At some point, two or three men went to Iran and radicalised there, bringing Shiism here. Now they make up for a group of some 20–30 very active members and they engage in attacks on us — with Iranian support. ‘We live in a liberal, multidenominational state. Our constitution says that everybody is free regardless of their religion. Islam doesn’t turn against the state. According to our faith, political demonstrations are forbidden. The majority of the country is Christian, but it gives Islam freedom to develop and prosper. The Shias go against it and this is a part of Iran’s wider policy’, one of the men argues. The case of Pikrat Ahmadov’s murder provoked demonstrations on behalf of the Shia community, which were widely covered by Georgian media. The Sunni community argues that the murder case was only a small part of the protests. ‘They used the murder case in order to sow discord and to turn people against us. The true reason why they organised the protest was the execution of [Shia cleric] Sheikh Nimr al-Nimr in Saudi Arabia just before the murder happened. The demonstration was very well organised with a clear financial and logistic support. Protesters held pictures of the sheikh and anti–Saudi slogans. The majority of protesters didn’t even come from our village. 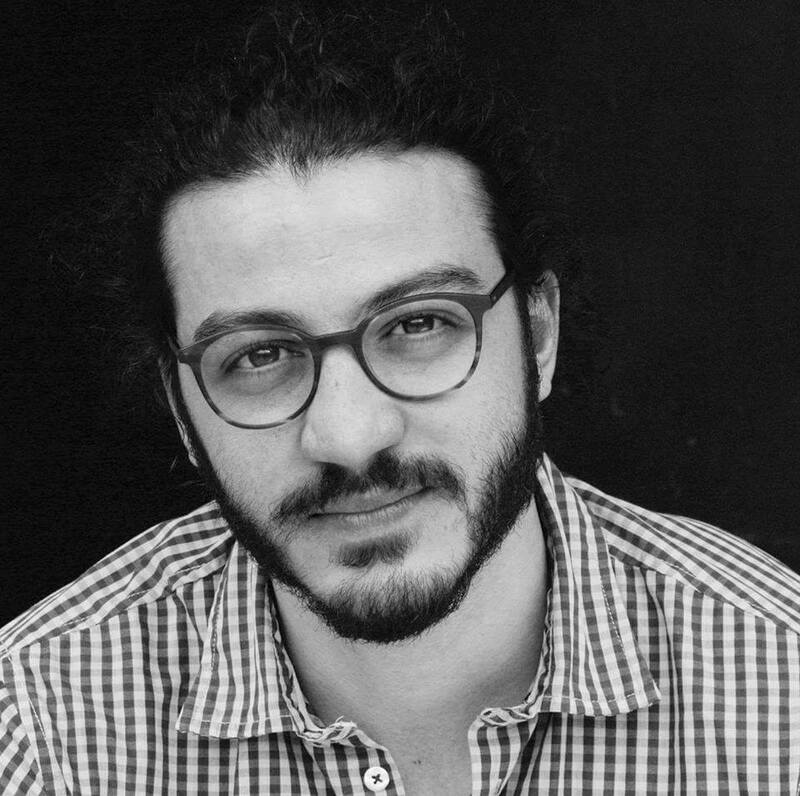 The case of Pikrat, who also spent some time in Iran and radicalised there, was lumped into the protest in order to make others turn away from us. Now even people who aren’t interested in religious affairs are against us’, they explain. Although the men initially deny that the conflict is of a religious nature at its core, some of them admit they harbour negative sentiments towards the Shia community due to differences in the doctrine. ‘Shiism is a sect which was created against Islam. They worship the Twelve Imams, which makes them mushrikun (‘idolaters’). Our Islam is pure, because we pray directly to God. We still have Shia relatives and we try to keep our relations cordial. We attend their funerals and we try not to touch upon the subject of religion, because that only leads to arguments’, one man explains. What happened in the village of Soghanlughi shows that the sectarian aspect of a religious conflict is only a tip of the iceberg. There is a common ground in the two communities’ narratives about the dispute over the place of worship. The Shias wanted their imam to lead the prayers, as a representative of the majority, with a tolerated presence of the Sunni minority as a part of the same jamaa (‘congregation’). The Sunnis, however, wanted to use the mosque facilities as a separate grouping, with their own imam. While it’s difficult to point down the exact moment Salafi ideas started to spread in the village, a lot of it can easily be attributed to technology proliferation and an easier access to information. It’s not only a phenomenon limited to the Sunni minority; it seems that what was originally mainly a cultural identity has gradually become a more pronounced religious identity also in the case of the Shia majority. As the mosque dispute and doctrinal disagreements spiralled, the conflicting parties started to increasingly identify with the global political setting. At the heart of it, there is a global Shia–Sunni conflict embodied by the Iran–Saudi Arabia tension and all of the sectarian prejudice it encompasses: that Salafis are supporters of the Islamic State, that Salafis are terrorists, that Salafis are a splinter group trying to destroy Islam. Or: that Shias are loyal to other countries, that they are idolaters and infidels, that they are a splinter group trying to destroy Islam. The theological differences are only a distant background to the long history of mutual hatred entrenched in politics and power in the Middle East. 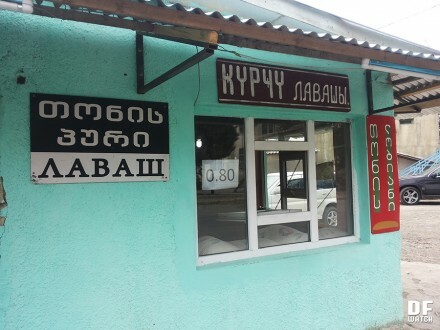 In Soghanlughi, what started as a local dispute is now increasingly informed by events taking place thousands of kilometres away, gradually drawing invisible lines of division between neighbours and relatives. The murder, whose background was probably more complicated than one interview made for Georgian TV, amplified these differences and caused a crisis, which took the most devout community members close to a point of no return. The community reached a moment, in which the Shias deny their Sunni neighbours being Sunni, while the Sunnis deny their Shias neighbours being Muslim at all. There are a lot of question marks. Is there an economic background to the conflict? Is there a direct political or financial influence on behalf of foreign countries? (Both groups admit that they receive money from volunteers and philanthropists abroad.) What is the agency of women in the conflict? 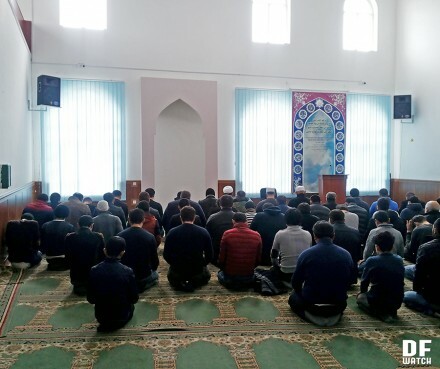 (Only men seem to attend the mosques for prayers). Are there personal animosities between individual community leaders that go way back? Has the catastrophic failure to integrate the community into Georgian society (most villagers can only speak Azerbaijani proficiently) and subsequent marginalisation played any role? What other direct and systemic factors are there? What are the conflict dynamics in other villages with the same pattern of religious divide as Soghanlughi? The question marks are here to stay and the only answers we can have are imperfect perceptions reality articulated by community leaders, mosque-goers, villagers, and projected by journalists with their media reports. During our interviews, both communities made it clear that their loyalty rests foremost with the Georgian state and they confirmed the Georgian state has the legitimacy to address their issues. One can only hope that Georgian authorities will be patient enough to study these multiple dimensions of the conflict in order to come up with comprehensive human-centred solutions. Once the Shia–Sunni conflict sets in Georgia for good, it will be a long-term and expensive affair that everyone involved could surely do without.